A significant portion of the Australian flora is comprised of Eucalypts which are also known as gum trees. 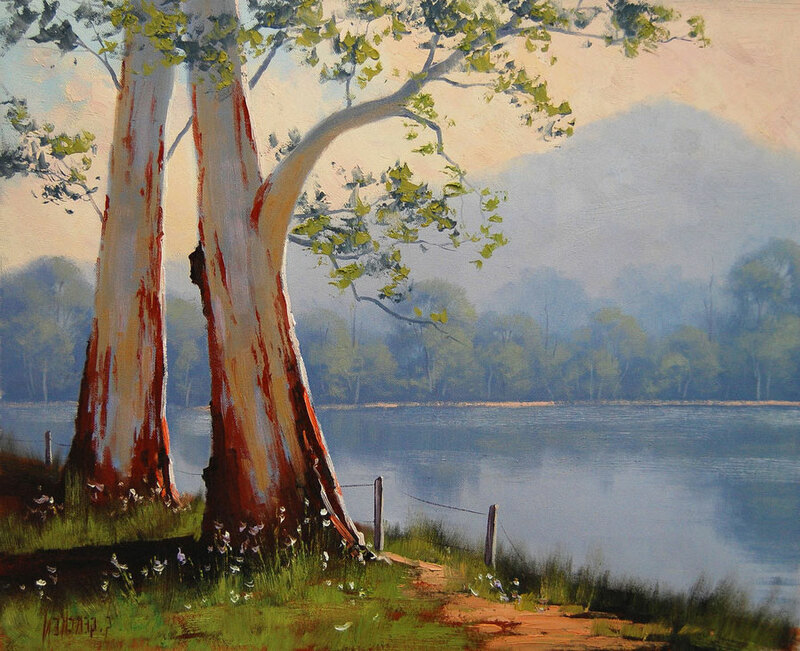 These particular types of trees are actually an essential component of the Australian culture and they feature in the literature, music as well as the art of the country. Known for their distinctive smell, the eucalyptus finds a place in the iconic photographs and paintings. In fact, the Blue Mountains in Australia derived their name from the very sight of the blue smoke from the eucalyptus oil coming out from the bush in the mountains situated on the western part of Sydney. They are available in a variety of shapes as well as sizes, from small shrubs to tall trees. Being a dominant part of the flora in Australia, they are spread across the continent and the only place where they are absent happens to be the high alpine regions. However, they are rather scarce in the dry interior of Australia as well as the rain-forests although they are present along the streams and also in the isolated ranges. The Tasmanian Blue Gum or simply Southern Blue Gum (eucalyptus globulus) is among the most typically cultivated trees in this region. In the year 2006, it consisted of 70% of all the plantation hardwood in the country with approximately 5000 km planted. It can be mentioned here that eucalyptus globulus is actually the main source of the production of eucalyptus oil on the planet. The eucalyptus is an important resource of the environment in Australia, ranging from contemporary production to aboriginal use. Various species are utilized for specific food items as well as medicinal purposes. These trees have been a significant source of firewood and timber for the Australians for many centuries and they are also a vital part of the timber industry. They also provide shelter to numerous species of native Australian birds and animals. In fact, the only food items consumed by the koalas are the gum leaves of some particular varieties. These trees are quite adaptable in nature. Within different species, there might be physical adaptations to several factors such as closeness to water as well as soil aspect. For instance, E. pseudolobules (Gippsland Bluegum) can grow to a height of 30 to 40 m in the Inland forests and it can also adapt itself to the coastal cliffs by developing into plants with a comparatively short height. Evolved to deal with the climate of Australia, the eucalyptus have adapted to endure bush fires as well as drought. However, one of the main dangers of these trees is the fact that they can be a fire hazard. However, re-growth helps them to regenerate following the fire. The eucalyptus is useful in decreasing the water table which helps to provide windbreaks as well as shade. There are also other uses apart from forestry that are financially essential to the small industries. These consist of production of honey, eucalyptus oil and also cut flowers. Another significant use of eucalyptus is the fact that they are an important source of wood. Australian timbers usually display unique characteristics in color variations and grain patterns and provide an exclusive touch to the arts as well as craft pieces manufactured in Australia. Eucalyptus has also been mentioned in the poetry and literature in Australia. As a matter of fact, many Australian writers have tried to capture its presence in the scenery.